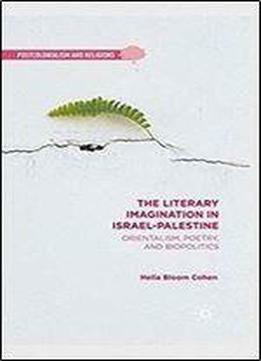 This book presents a cutting-edge critical analysis of the trope of miscegenation and its biopolitical implications in contemporary Palestinian and Israeli literature, poetry, and discourse. The relationship between nationalism and demographics are examined through the narrative and poetic intrigue of intimacy between Arabs and Jews, drawing from a range of theoretical perspectives, including public sphere theory, orientalism, and critical race studies. Revisiting the controversial Brazilian writer Gilberto Freyre, who championed miscegenation in his revisionary history of Brazil, the book deploys a comparative investigation of Palestinian and Israeli writers’ preoccupation with the mixed romance. Author Hella Bloom Cohen offers new interpretations of works by Mahmoud Darwish, A.B. Yehoshua, Orly Castel-Bloom, Nathalie Handal, and Rula Jebreal, among others.